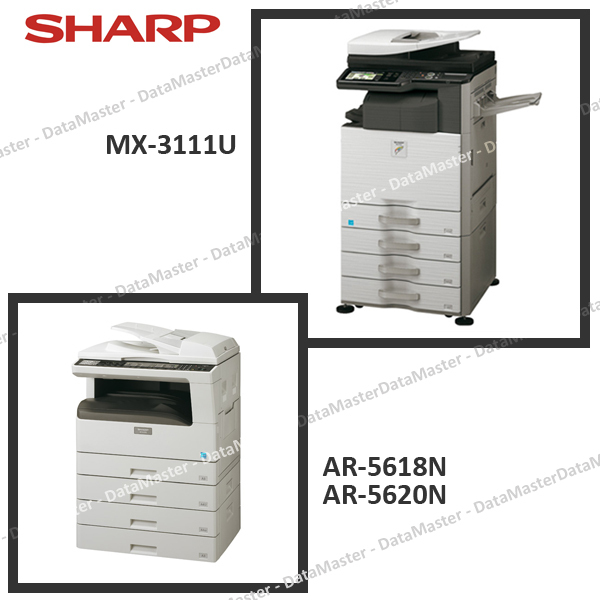 Sharp has just put the new MX-3111U in their line-up next to the MX-2010U and the MX-2310U launched at the end of 2010 and the beginning of 2011 respectively. It has many of the same features we see on the 20 and 23ppm machines above, and Sharp are filling out their "economy" series, identified by the "U" in the model name, with a 31ppm machine. They have also launched two small b&w A3 MFPs, running at 18 and 20ppm: the AR-5618N and AR-5620N (replacing the AR-5516N and AR-5520N launched in Julyt 2009). We note improvements on these compact-design models: the color scan; the warm-up time and the energy consumption in stand-by mode.